One of the best match-3 jewel games of its kind! It will provide you a very funny and challenging time. 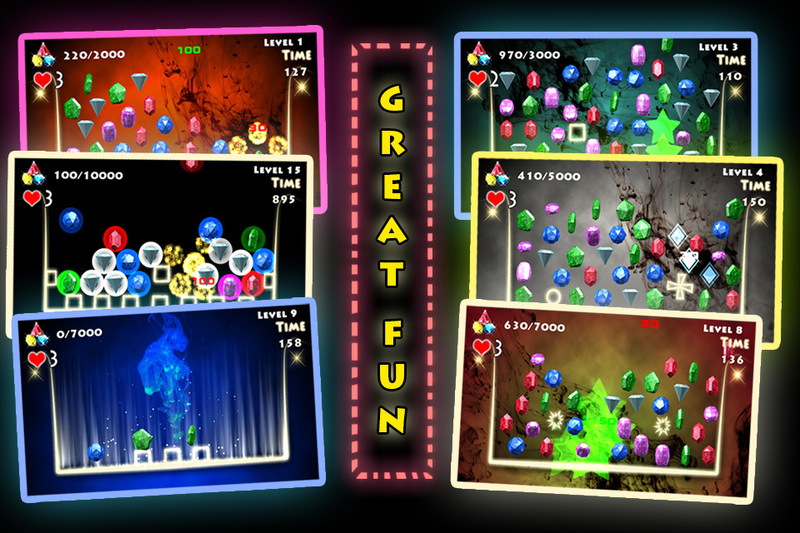 You will forget the meaning of the word boredom thanks to this exciting puzzle game. 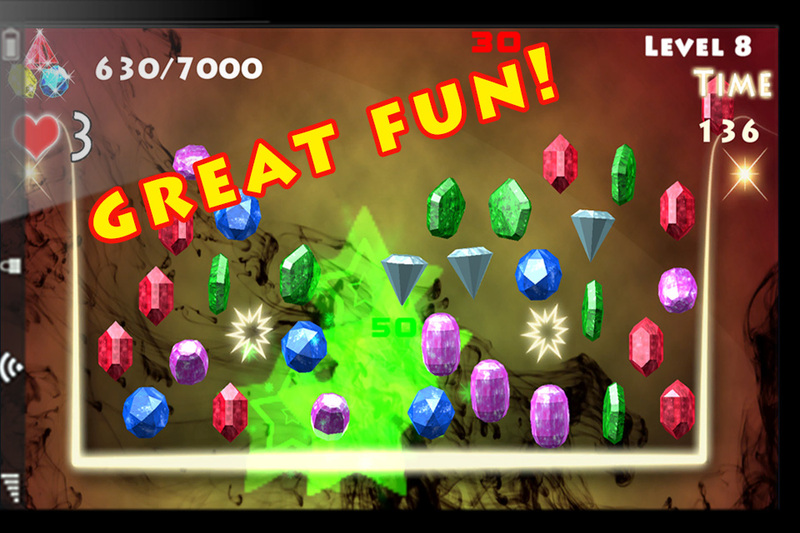 By playing this game you will find yourself in a virtual dimension, hopelessly addicted to the colorful diamonds and blasting special effects. It is a simple but extremely fun match-3 game. 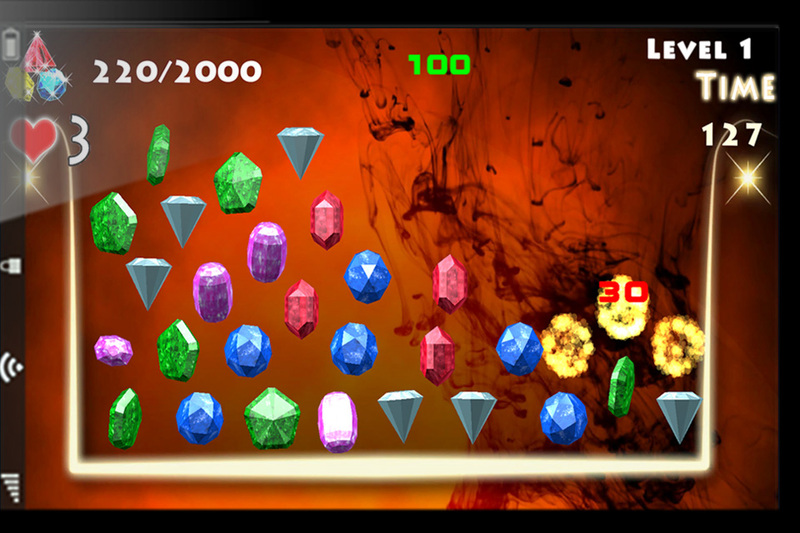 While proceeding with the levels you will find breathtaking backgrounds with bright festive colors. 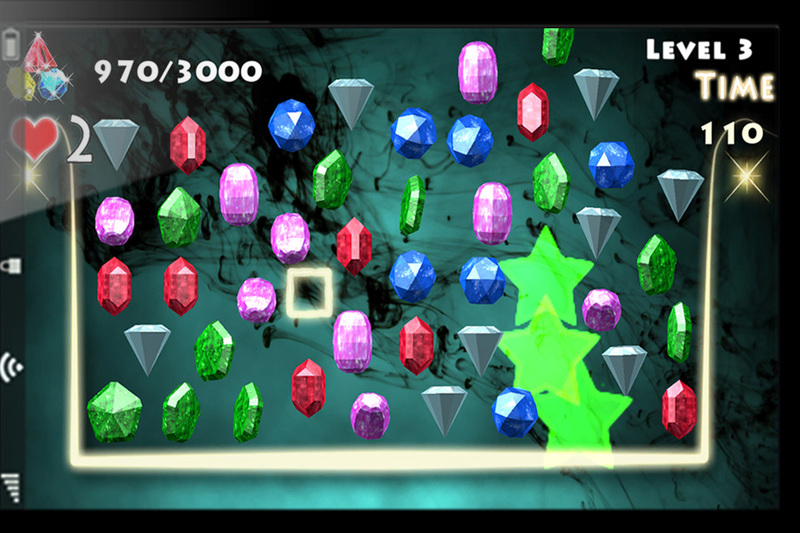 As you get on with the levels you will encounter new shiny neon objects that are going to restrict the available space for the diamonds like: squares, explosions and circles. 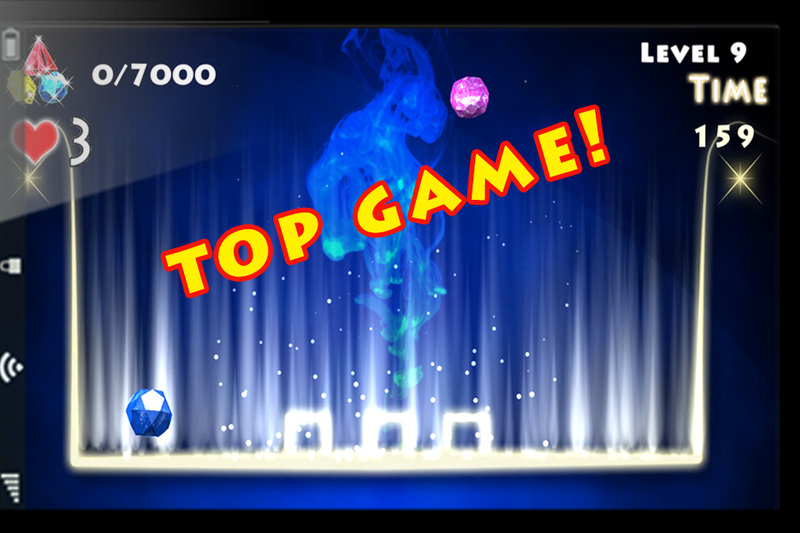 Try to master all the levels of this smashing casual game and sharpen your skills. 3 x 3 x 3 x….. 4 x 4 x 4 x…... 5 x 5 x 5 x …..etc. This deluxe application is for free! Play it every time you wish to kill some time! Match Three is one of the oldest casual game mechanics. Though his recent simplified incarnations as a computer and mobile game has given it renewed popularity, the origins as a board game date back to Roman times. The game survived the fall of Rome in the halls of monasteries throughout Europe. The monks built game boards on tops of hogsheads using beans and peas as the pieces. It is thanks to the monasteries that the game survives today, via its introduction to students at Oxford and Cambridge. The game was exported to America in the 1600’s by professors coming from England to Harvard. It used to be considered a gentleman’s game but after the War for Independence the game spread amongst the egalitarian masses in the newly minted USA. How the ancient match three became an electronic game is history but all the match -3 games we play today all owe their roots to the game played by Caesar.